Purina Cat Chow Correspondent holding a casting call for all cat owners THIS WEEKEND! Hey Tampa Bay, Alex here to inform all cat lovers in the area of a great opportunity. You really don&apos;t want to miss out on this one! This weekend Purina Cat Chow is holding an open casting call for a First-Ever Correspondent position… in Tampa! 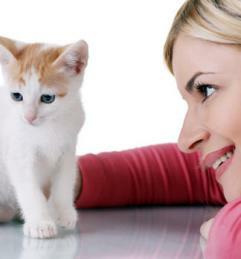 They are looking for a passionate cat owner to fill a one- year position and earn $50,000. We are looking for passionate and knowledgeable cat owners with vibrant personalities and an interest in learning and sharing about the cat/owner relationship. No formal training or expertise is required to apply. Interested consumers, age 21 and up, can interview in person for the position at select PetSmart® stores. What a great job, traveling around the country to educate cat owners on the well-being of their pets and sharing your experiences with the world! Don’t miss out on this awesome opportunity, head on over to the Petsmart Store on Citrus Park Dr. tomorrow, March 5, between 10a.m.- 4p.m. If you can’t make it out to Petsmart this weekend, online applications are being accepted until March 28, 2011 at catchow.com. Check back with us later for more information on Things To Do In Tampa Bay!